Producers Flody Suarez and Jeffrey Seller and Broadway In Chicago announced that individual tickets for The Cher Show, the new musical based on the life and six-decade career of the iconic singer and actress, will go on-sale this Friday, March 23. 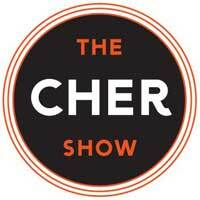 The Cher Show will have its Pre-Broadway Premiere at Broadway In Chicago's Oriental Theatre (24 W. Randolph) for a limited-engagement June 12 through July 15, 2018. Recognized for her influential contributions to music, film, television, fashion, and popular culture, the Grammy, Oscar, Golden Globe, and Emmy award-winning entertainer's life story will be brought to stage in this new musical featuring her beloved chart-topping hits including If I Could Turn Back Time, Believe, I Got You Babe, Strong Enough, Half Breed, I Found Someone, A Different Kind of Love Song, Take Me Home, and Gypsies, Tramps and Thieves. The new musical is produced by Flody Suarez (What's New Pussycat) and four-time Tony Award-winner Jeffrey Seller (Hamilton).